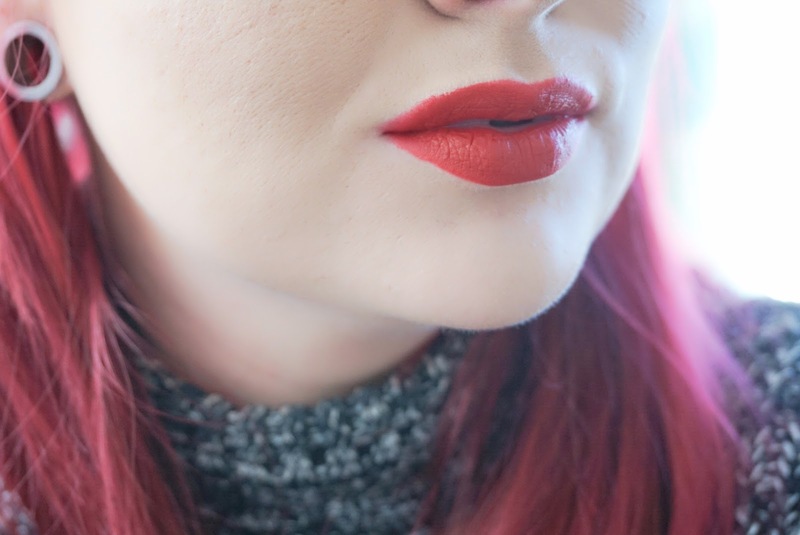 ﻿With Valentine's Day just around the corner, you can't deny that a good red lipstick is the perfect accessory to brighten the day. 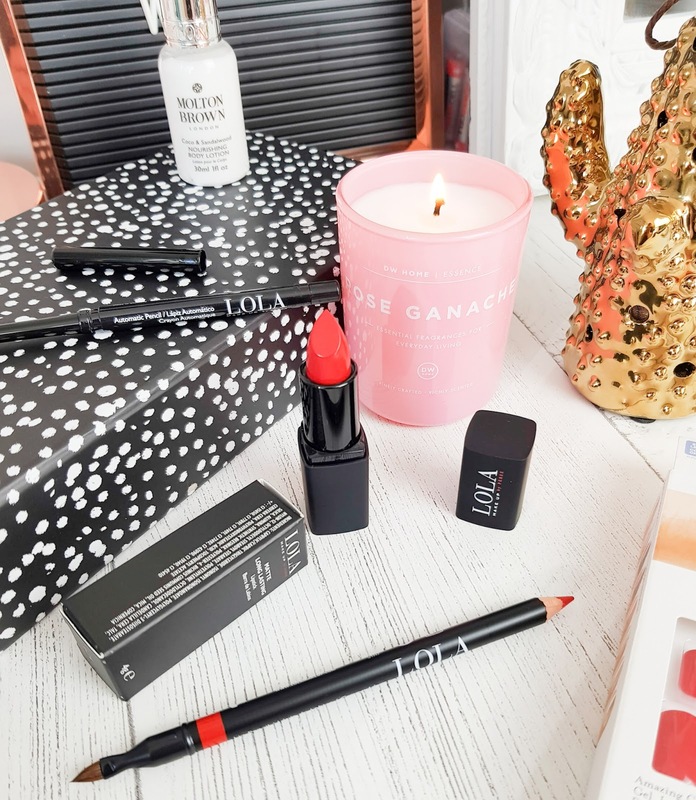 Even the Goth in me can ditch the darks and appreciate a good red lip now and then and this year Lola Make Up have me covered. Lola Make Up By Perse* has landed in Northern Ireland and is now available in Menary's Department stores around the province and to celebrate, I've been testing out a few of their products for our pre-Valentines (Mr Flicks refuses to accept it was a Valentines date) day out and put the lipstick staying power through it's paces while I stuffed my face with all the food. Could this shade be any more of a perfect red? When I go for a red lipstick I always vear towards to the blue based end of the scales as opposed to the orange based reds. With being a bright red-haired lady, clashing can be a major issue but this shade is Valentine's perfection in my eyes. The formulation of the lipstick is a beautiful, comfortable, velvety matte if applied alone or semi-matte if applied over the matching lipliner. 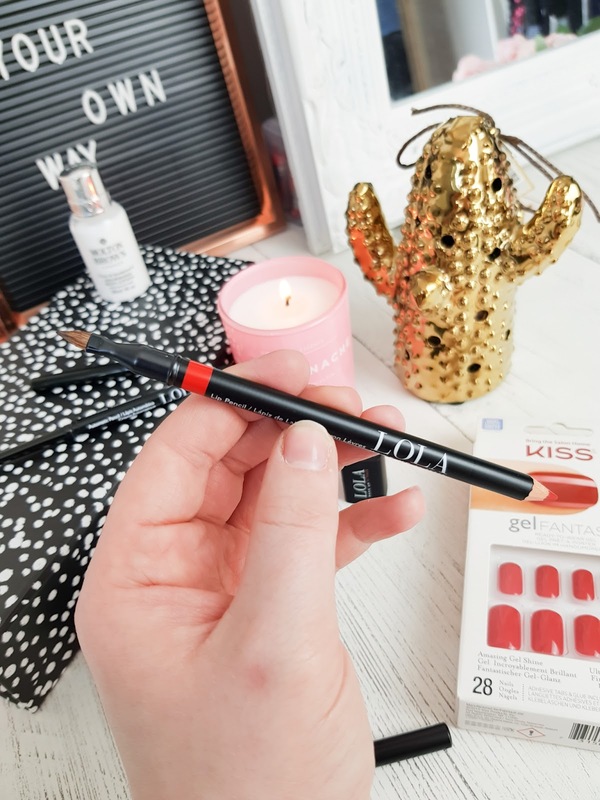 The key to the success of a good lipstick is always the lipliner and this super soft LOLA lip pencil just glided onto my lips like an absolute dream and helps stop the lipstick from feathering around the edges throughout the day. The lip pencil is double-ended with a soft, precise brush to help blend out the application which I think is the best invention ever! 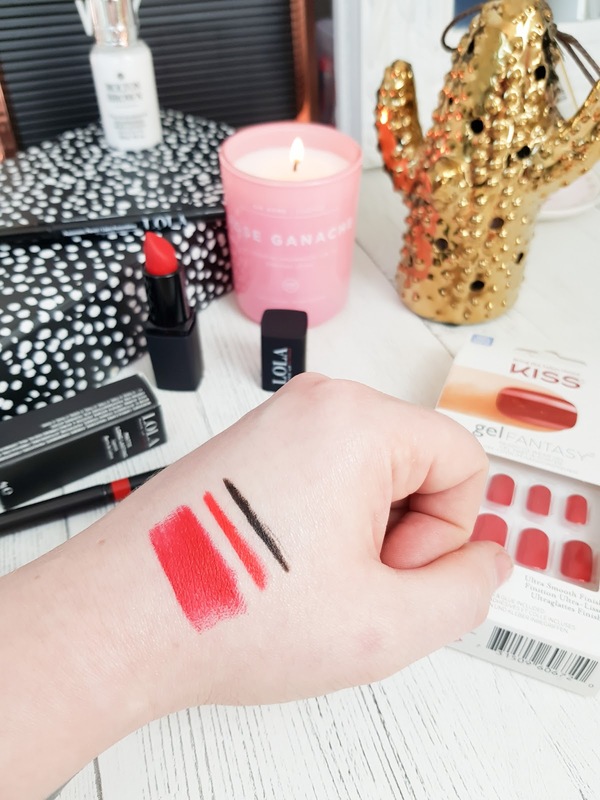 Both the lipstick and lipliner have Jojoba oil within the formulas to help reduce the risk of the lips from drying out and to help keep the finish nice and smooth. During our Valentine's date day out, we indulged in a lot of coffee, wine and good food and apart from a little transfer of colour from my bottom lip onto my chin after much eating, this lipstick duo held up damn well. The photo below shows the colour remaining on my lips after around 5.5hrs wear and a hellva lotta food consumption and colour me impressed folks, would you look at how much colour is still on my lips? And I'm a MESSY eater too. Are you a red lip kinda gal? As mentioned above, LOLA Make Up By Perse is now available in Menary's if you're from Northern/ Ireland or you can buy direct (here). I love the shade, such a beautiful red!